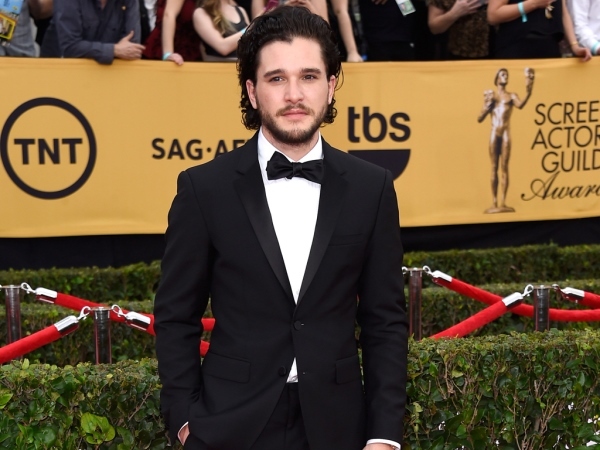 Kit Harington is happy to decline work in order to maintain a family. The 28-year-old hunk keeps himself busy with his role as Jon Snow in Game of Thrones and has a steady movie career too, with his latest feature being Spooks: The Greater Good. He's currently single but once he meets the right lady, Kit isn't going to let his acting career get in the way of settling down. “One of the stresses and strains of the film industry is you’re away from home a lot," he explained to British newspaper The Sun. There are other downsides to his fame, such as constantly being recognised when out and about. But it doesn't irk the star too much and he refuses to shun public transport just because people will take photos of him on their camera phone, complaining that cabs are "bl***y expensive". Despite his single status, Kit has a hoard of female fans who admire both the actor and his Game of Thrones alter ego. He's just as heroic in real life too, as he revealed he once defended an ex-girlfriend while in a sticky situation. “It was the one time I stood up for a girl’s honour. It didn’t go down well. She was getting insulted by some other guy," he recalled. Kit enjoys every second of playing warrior Jon in the hit show, admitting it'll be "emotional" to say goodbye to his character when the time comes.